in your home can cause property damage in the attic or walls. Unfortunately, these critters chew on walls and wiring and use your insulation to make nests, which can result in thousands of dollars of damage. If you’ve noticed any of these signs, check your roofing soffits for holes that could indicate entry, and call a professional squirrel removal service like Critter Control® of West Palm Beach immediately. Be sure to call for professional help at the first sign of a squirrel infestation. 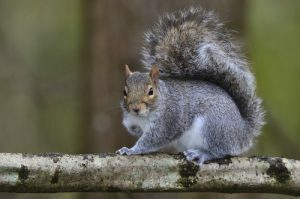 With more than three decades of animal removal experience, Critter Control® of West Palm Beach is the first choice in squirrel infestation elimination. Our state-of-the-art tools and techniques mean that the squirrels are removed efficiently and your home is sealed to prevent re-entry. For questions about our services or to schedule a consultation, call us today at 561-274-0224.